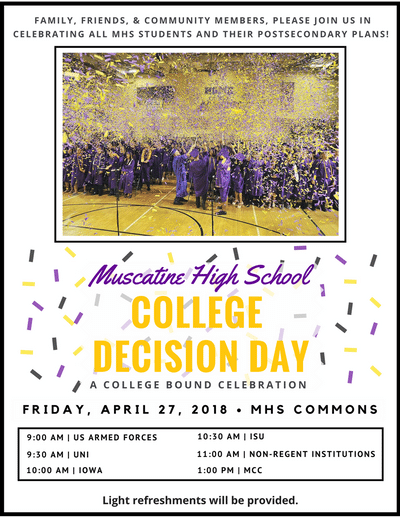 College Decision Day is on April 27, 2018 in the MHS Commons (RSVP): Seniors & their family are invited join the celebration to recognize their post-secondary plans. All high school seniors planning on attending a degree or certificate program or are entering the military. Kelsie Stafford from Muscatine Parks and Recreation will be at a table outside the Commons on Thursday, April 26th during lunch to talk about Summer Job Opportunities at the Soccer Complex, Kent Stein Park, Aquatic Center, or City Hall. Stop by and pick up an application! 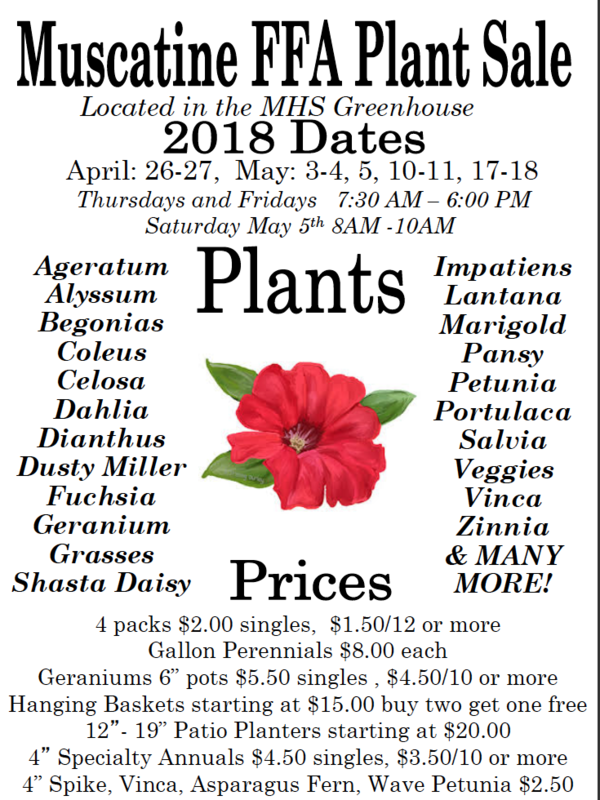 Key Club Rose Sale: Celebrate Spring! Key Club will be selling individual roses outside of Student Services on Wednesday, April 25th(one day only – don’t miss out!). Roses are $2 each or three for $5. 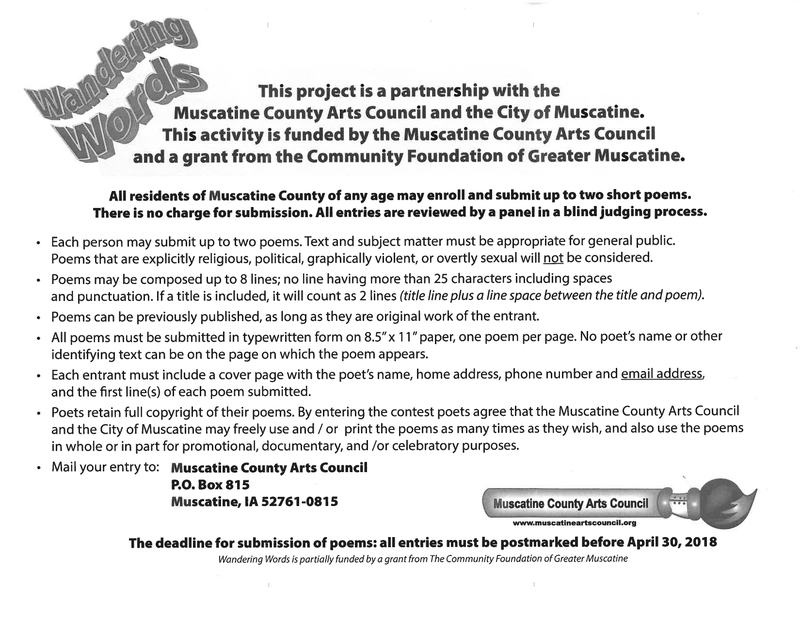 All proceeds go to fund Key Club and Kiwanis community events. Mrs. Edkin in Student Services for Academic Awards or Mrs. Chatfield in the Assistant Principal’s office for Perfect Attendance questions. Senior who has 7 consecutive semesters of 3.0 GPA and above.Students listed will be recognized at the Academic Awards Assembly on Wednesday, May 2nd @ 10:00 am in the gym. Parents are also invited to the Awards Assembly.